With this week being National Schools Football Week and the ESFA International squads being recently announced, we thought you should all be introduced to this season’s national representatives. Starting off with our Boys’ U18 squad members, we’ll end the week with the Under 15 Girls on Friday. The boys chosen for this year’s squad have made it through four rounds of trials to reach the International team and deserve congratulations for their achievement in reaching this milestone. 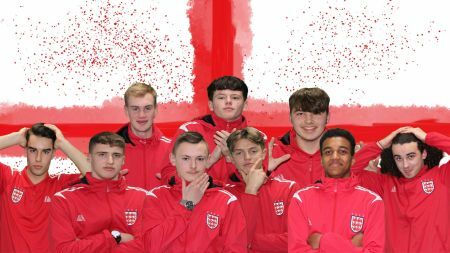 All the boys in squad have been representing school and county teams the length and breadth of the country and were put forward to trial by their counties following some excellent performances, however football at the ESFA is about more than just the game – it’s also about the people! So, let’s kick of the week by meeting the goalkeepers and defenders! “Gouldy” was first introduced to the beautiful game at a young age by his parents, growing up to become an avid Manchester United fan. He plays for Bedfordshire at county level and plays in goal for Oakland College. His love of Manchester United led him to admire the shot-stopping skills of David De Gea and his admiration of football personality, Jose Mourinho. 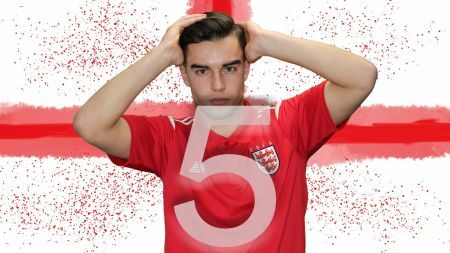 During his international selection he is most looking forward to playing against the Republic of Ireland at Luton Town FC on the 16th of March. Daniel told us about his childhood love of the Disney Channel and Harry Potter, which must have inspired some of the magic he produces in goal. The young Mr. Gould is also a keen cricket player and uses the eye roll emoji frequently. 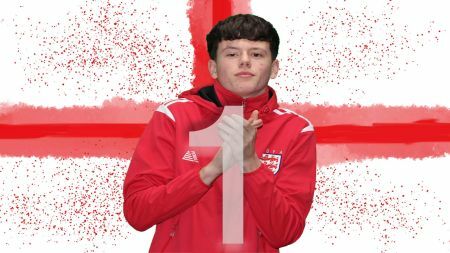 A lifelong Manchester United fan and a keen fan of basketball, Callum Coulter is one of two excellent goalkeeping options for this seasons Under 18 Boys squad. 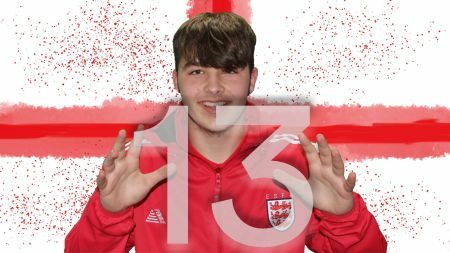 As an athlete Callum looks up to David De Gea and Jordan Bell, renowned for their discipline and work rate the pair are stand out role models for any aspiring athlete. Much like his goalkeeping counterpart in the squad he is most looking forward to the Republic of Ireland game at Luton Town. 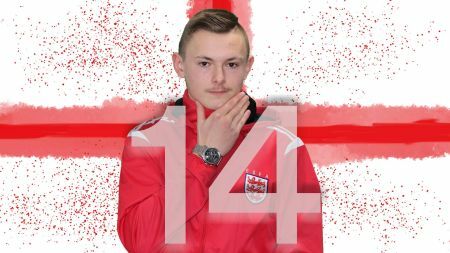 Callum was introduced to football by his parents and has represented Farnborough Sixth Form for football and as a prefect and has also played in goal for Hertfordshire County. Ethan – or Brooksy to his teammates – is a versatile player able to play as both a centre back and centre midfielder. He grew up as a Bolton Wanderers fan watching the likes of Gary Cahill and Tal Ben Haim. He lists Vincent Kompany as one of his footballing icons for his leadership qualities and Antonio Conte as another due to his passion for football. Brooksy is also a keen swimmer and plays water polo for the North West regional team. Ethan is a keen reader of autobiographies and an avid watcher of films, listing Bradley Cooper’s American Sniper as one of his top picks. The man known as Lanks is one of the multitalented players within our squad, not only being an excellent footballer but a talented golfer too. 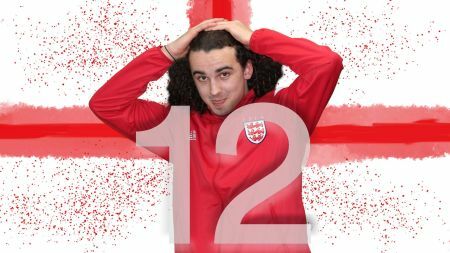 Adam has represented his county, Hertfordshire, as both a footballer and a golfer and has won junior golfer of the year. Adam is an arsenal fan and a curator of excellent defenders, listing Jamie Caragher and Vincent Kompany as his footballing icons for their leadership and aggression. When asked what rules in football he would change he jumped at the opportunity to change the rules on tackling from behind. 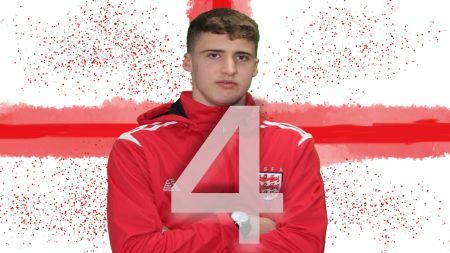 Adam noted his excitement at playing against the Republic of Ireland due to the support that he has coming along to see him represent his country. 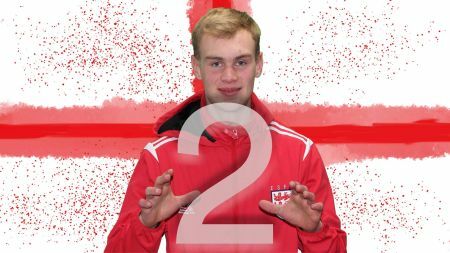 Fraser is a defender for Bede College and Durham County, who has earned his call up through his hard work and determination. He is from a footballing community and is a die-hard Sunderland fan. Fraser lists a soft spot for Hertha Berlin, perhaps looking to emulate Thomas Helmer, who played for both clubs. He ranks his top three favourite footballers as Zinadine Zidane, Paul Gascoigne and Sunderland legend Lee Catermole. 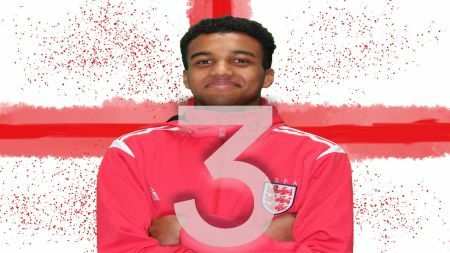 He highlighted his excitement at playing against Scotland at York City FC on the 23rd of March. Fraser also mentioned that he was keen to see VAR (Video Assistant Referees) introduced on a wider scale within football. Colling also mentioned his love of the TV show Friends, noting his jealousy of the character Ross for his relationship with Rachel. Alex is possibly the most versatile player within this season’s squad, being able to play across the midfield or defence. Doyley is a Manchester United fan, having been introduced to football by his parents and watching the game from a young age. He looks up to Christiano Ronaldo, highlighting the players’ determination to be the best footballer he can be and is winning mentality. He also notes his admiration of Tom Hardy for the way he commits to roles and his dedication to his craft. He is most looking forward to the Northern Ireland match in Belfast, possibly due to his Irish and Scottish heritage that could split his allegiance. Alex is also a keen rugby player and cricketer and has been commended for his commitment to training and his discipline. Sam, who plays for Simon Langton School and Kent SFA, is a full back who looks to style his play on Patrice Evra. Maca looks to build his style of play around pace and work rate, being a massive fan on the superhero ‘The Flash’. His favourite footballing personality is Thierry Henry for his smooth and intellectual style. Sam is also the Kent Triple Jump champion and a fan of drill music. When asked what Sam would change in football, he simply stated that he would get rid of the ABBA penalty system. Cormac is a lifelong Manchester united fan who was introduced to the beautiful game at a young age. He models his footballing style on Sergio Ramos, playing aggressively and with great passion. He also noted his love of Kris Kamara and would love to emulate his success. Cormac discussed how much he is looking forward to playing against the Republic of Ireland at Luton Town FC in mid-March. When asked about his favourite TV shows he talked about the show ‘Power’, in particular the character Ghost due to how smooth and sophisticated he is. 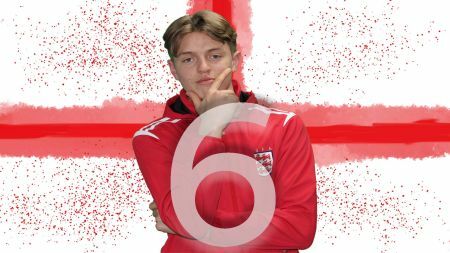 Noah is a versatile player who can play centre back, centre midfield, left back and left midfield and plays for Sir Thomas Rich’s School and at county level for Gloucestershire. Mankey (Pokémon, anyone?) is a supporter of Chelsea and admires Chelsea star Eden Hazard for his physical prowess and commitment to football. Noah is also a fan of Jermaine Jenas for his personality and his outstanding charitable work. When not playing football Noah turns his hand to tennis, he also ponders the deeper aspects of life, indulging his interest in philosophy.